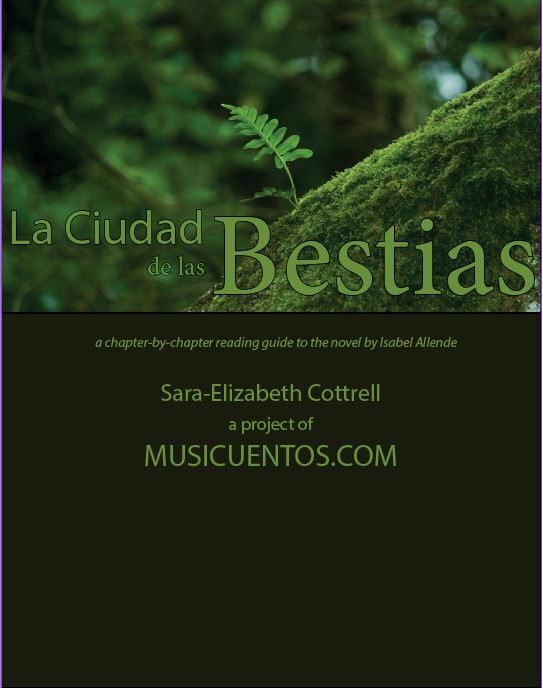 I’ve been asked several times lately, particularly by teachers starting out their AP Spanish classes, exactly how I teach the novel La ciudad de las bestias as part of the course. Here’s the answer. If a class has higher proficiency, I set deadlines for chapters. We do read on one set day per week, but students are responsible to finish on their own for the day a chapter is due. Students finish the book in one school year. In a class with lower proficiency, I coach them through the reading every week (whatever day is our reading day). Students do not finish the book in the school year, but after the AP exam, they finish a set of questions I wrote to get them through the plot to find out what happens. We read aloud taking turns in class. Students sometimes have a reading day in a group together when I need to grade some of their work or if several students are absent. We frequently stop to explore the book and enhance comprehension in the ways described in my guide under “Para comprender más.” We’ll look up pictures of a guacamaya or find Manaos on Google Earth or diagram who is on the explorer team and what their jobs are. If you’re interested in teaching this novel using the ebook reading guide I developed, you can find more information here.